Geoff’s recent orchestrating include Darkest Hour, The Guernsey Literary and Potato Peel Pie Society, Woman Walks Ahead, Paddington 2, King Arthur: Legend of the Sword The Lady In The Van, Everest, Jimmy’s Hall and Boxtrolls. 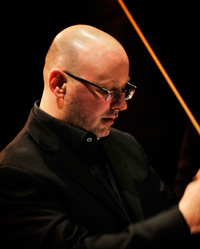 Already established as one of the leading Hollywood and UK film music arrangers, orchestrators and conductors, Geoff Alexander is also a composer, bringing with him the wealth of experience gained from more than 120 feature credits and has just finished scoring A Foreign God for director, Jonathan Hughes. He contributed orchestral cues to George Fenton’s score for the BBC’s One World series and most recently contributed to ITV’s paranormal 3-parter Midwinter of the Spirit, directed by Richard Clark. As an arranger/orchestrator/conductor he has enjoyed notably long and successful partnerships with George Fenton – Hitch, Bewitched, Mrs. Henderson Presents, Anna And The King, Ever After, In Love And War and the BBC’s Blue Planet which won the BAFTA, EMMY and Ivor Novello for Best Score; Trevor Jones – The League of Extraordinary Gentlemen, Notting Hill, Crossroads, 13 Days, Merlin, Richard III, Cliffhanger; Patrick Doyle – Igor, Nim’s Island, Eragon; Eric Serra – Arthur and the Invisibles, Bandidas, Jeanne d’Arc – The Messenger; and Richards Robbins – The Remains Of The Day, Jefferson in Paris, Surviving Picasso, The Golden Bowl and Le Divorce. He has also collaborated with Stephen Warbeck –Mystery Men, Theory Of Flight;, Anne Dudley – A Man Apart, Monkeybone; Charlie Mole – The Importance of Being Earnest, An Ideal Husband; and with the late Michael Kamen – Band Of Brothers, From The Earth To The Moon and What Dreams May Come. Other big screen credits include Planet 51, State of Play, Harry Potter and The Order of the Phoenix, Bee Movie, The Other Boleyn Girl, Borat: Cultural Learnings of America for Make Benefit Glorious Nation of Kazakhstan; Mickey Blue Eyes, Cliffhanger and Brassed Off. Away from the screen he has written a double concerto for violin, cello and orchestra, Phantasia, based on themes from Phantom Of The Opera. Commissioned by Andrew and Julian Lloyd Webber it was recorded with Sarah Chang (violin) Julian Lloyd Webber (cello) and conducted by Simon Lee, and is available on EMI Classics. He is Artistic Advisor to the English Sinfonia for whom he composed Blood In The Snow – a violin concerto for Janice Graham. Other projects include a ballet with Richard Robbins, The Country Bunny, premiered in Charleston, USA.